Football for Hope, Peace and Unity (F.H.P.U) was born out of the vision of Eric Murangwa Eugene, a former Rwandan professional footballer and survivor of the 1994 Genocide Against the Tutsis. Eric's vision was to use sport to assist the transformation of the Rwandan community, targeting social change in the UK and in Rwanda. 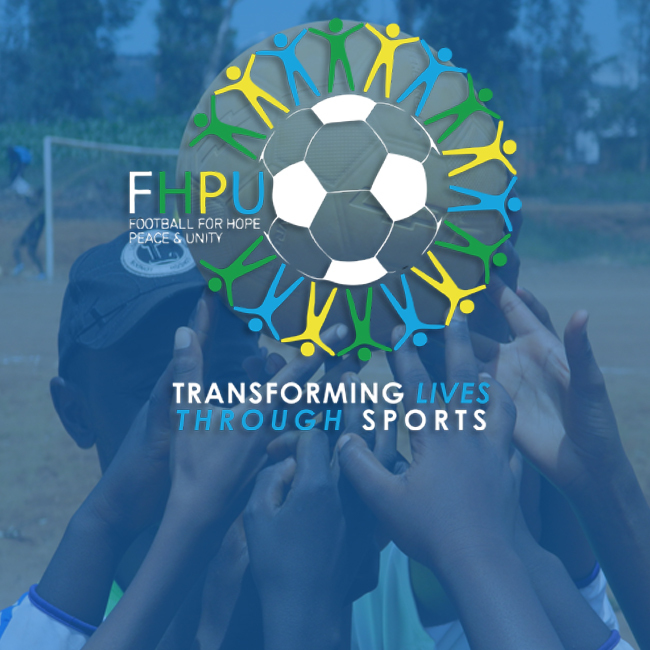 Founded in 2010, FHPU restructured in 2011 to merge initial FHPU trustees and the members of Team Rwanda UK Football Team. We use football as a means of bringing together young people and promoting community reconciliation in the UK and Rwanda. Through weekly ‘training and engagement’ sessions FHPU uses the power of football to encourage team work, develop conflict resolution skills and fight prejudice, intolerance and hatred in our own communities. We believe that “Football moves the world”, and we are determined to make it the cornerstone of the youth’s new feeling of social responsibility, acquired through peace-building education and development.